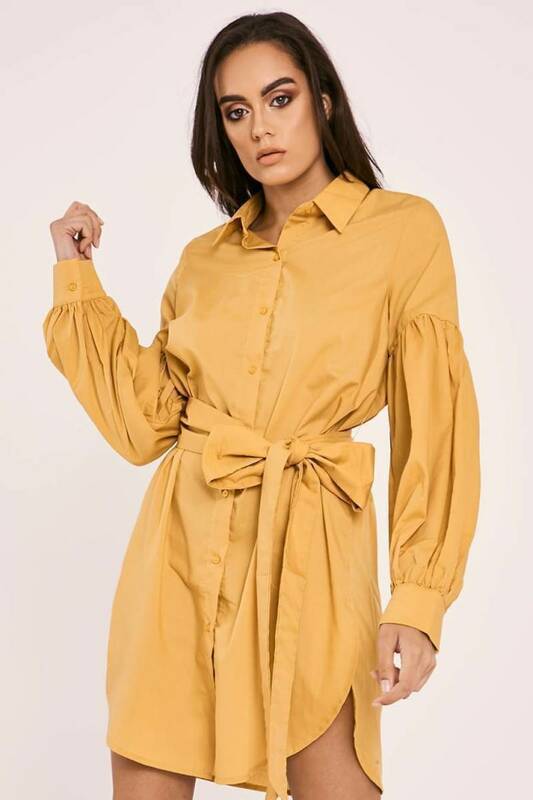 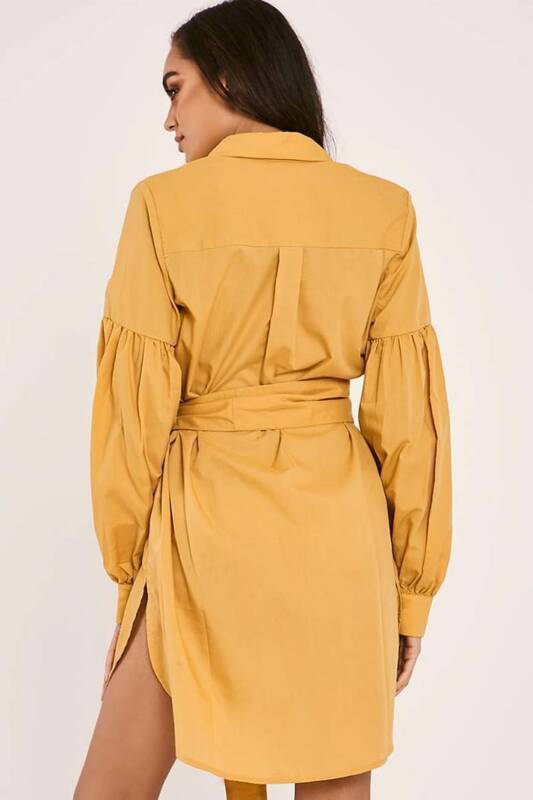 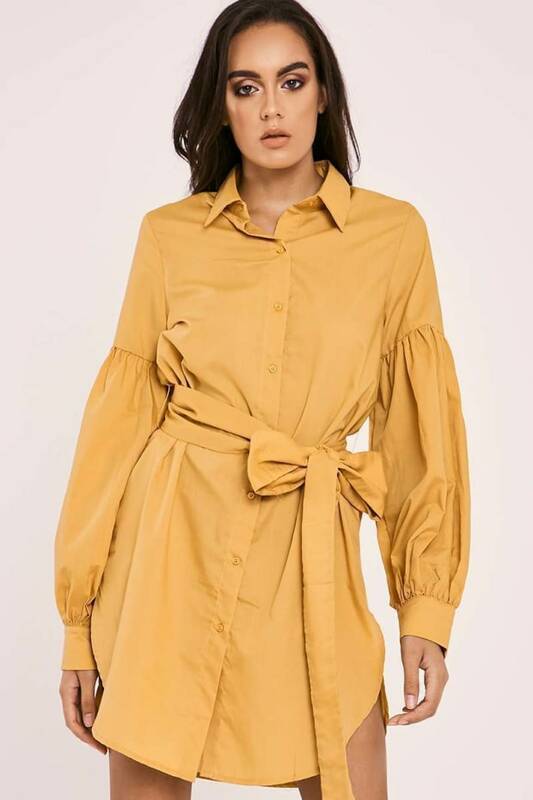 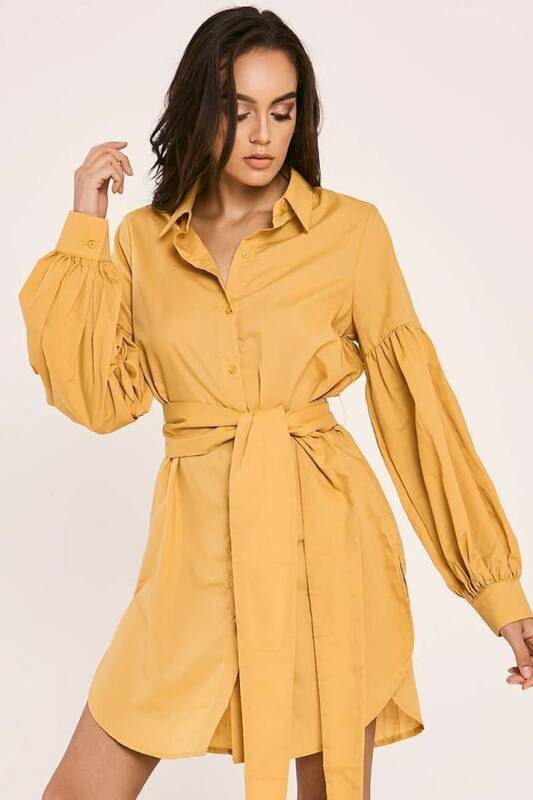 Get maximum style wearing this beaut mustard shirt dress. 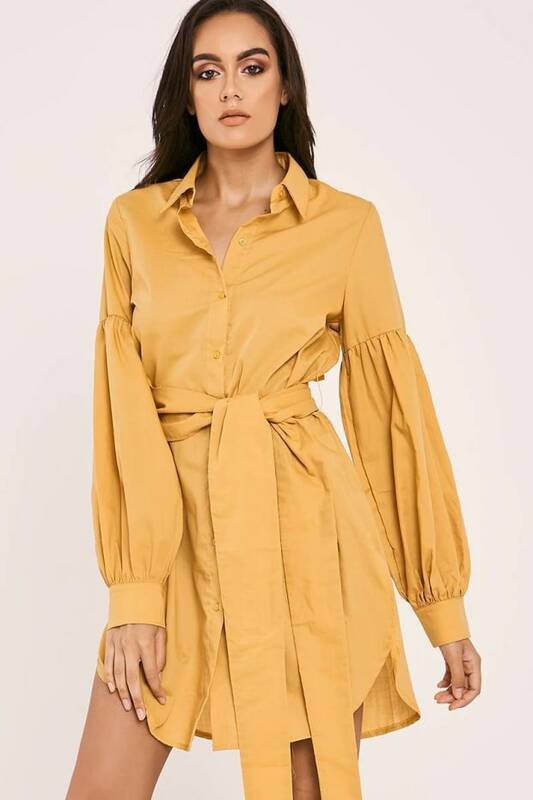 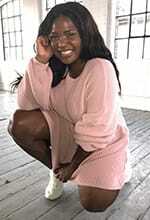 Featuring chic balloon sleeves, shirt style and tie belt waist, this beaut dress is guaranteed to see you through the season in effortless style! 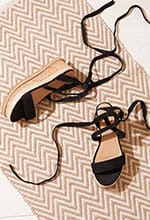 Wear with killer heels for the ultimate look.